14hh, 4 yrs old Reg New Forest gelding. Easy to catch, box and shoe. His sire SILVERLEA HARBOUR LIGHT bred many useful horses/ponies. Been shown lightly and always picking up prizes. After being turned away at the end of August LOMONDSIDE JAZZ is now fit and has been back in work for a month (as of nov 2015) . 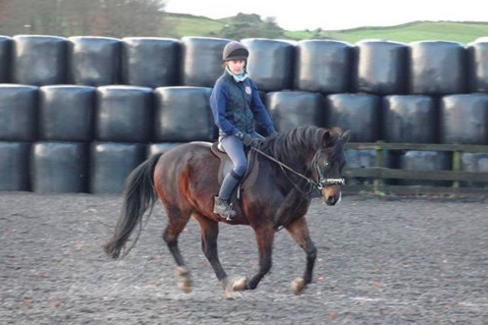 He has been worked and brought on by Iain Couttie and his staff at Wardhouse Equestrian Centre. He has started jumping and shows a lot of promise for a 4yr old who has had only a little done with him.